The one question I get asked the most as a Dietitian is, “so what do you eat?”. The answer to this question lies in the food I buy at the shops! Here are my healthy food shop rules I live by that you can try if you want to shop & eat healthy like a Dietitian too! Load up on fresh fruit & veg – I fill my trolley with fruit and veg first. I prefer to buy fruit & vegetables that are fresh and in season because I find they taste better, have a nicer texture & are typically more nutritious, but purchasing frozen & canned varieties are fine too. I always buy a wide variety & try to include as many different colours as possible. 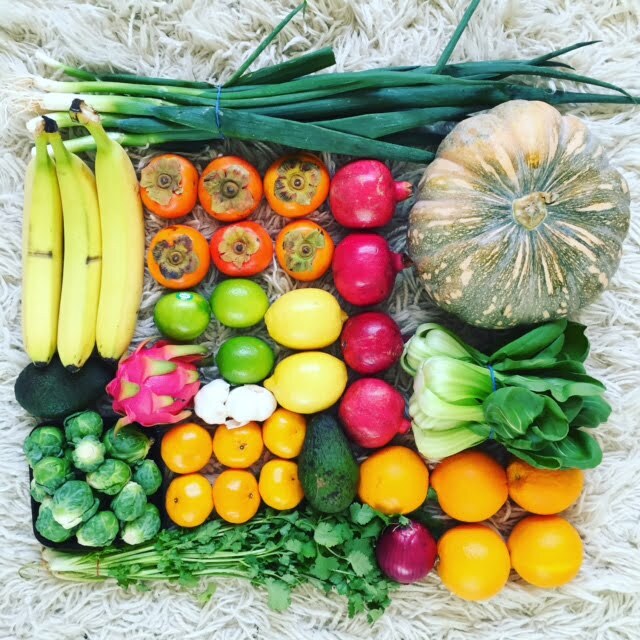 Different colours mean different nutrients in the fruits and vegetables. 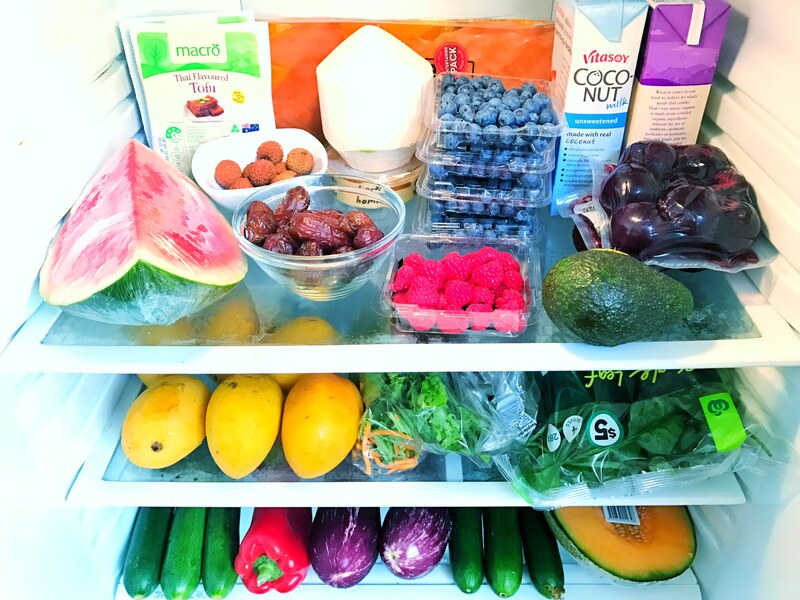 If you’re not big on fruit & veg, aim to try one new fruit & veg each week. It will take your taste buds time to adapt to new flavours, but if you try a new food about 10 times, your taste buds will adjust to enjoy it. You can also try cooking & eating them in different ways. For example, steamed pumpkin tastes different to stir-fried or baked pumpkin. Add some healthy protein options – I opt for fish, soy milk, beans, lentils, yoghurt, tofu, nuts & seeds for my protein. 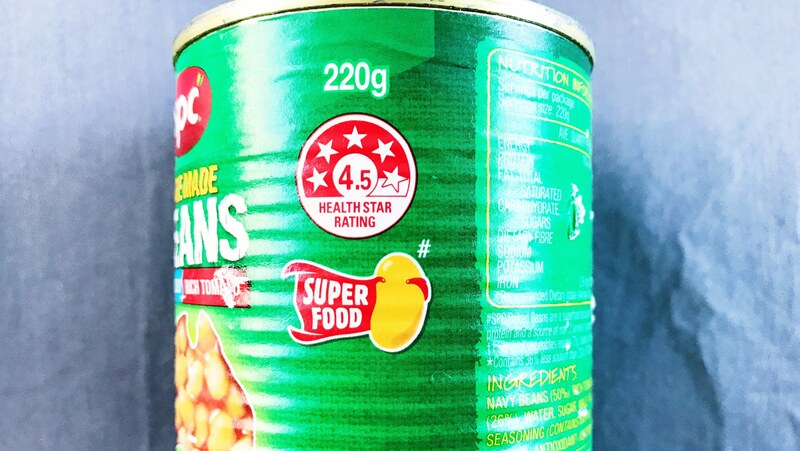 When choosing tinned fish & beans, I use the Health Star Rating (you can read my previous blogs here to learn more) to decide on the best options. 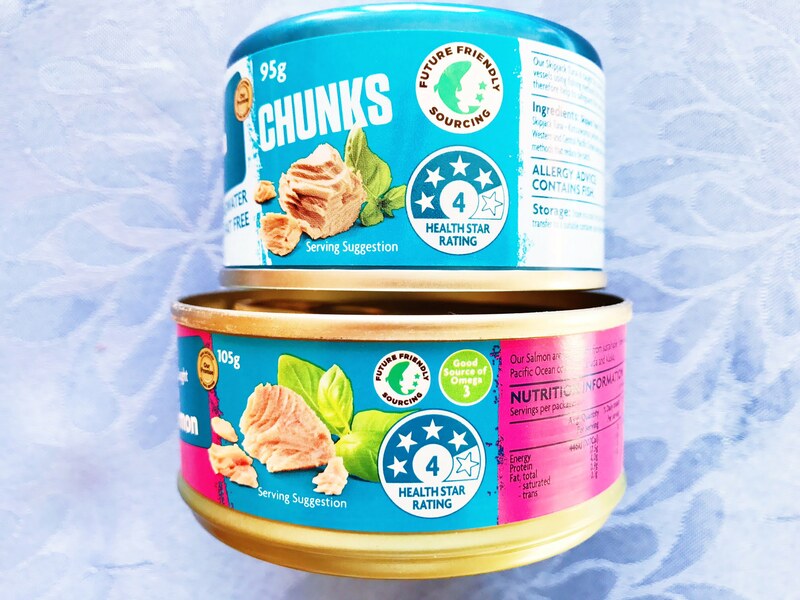 I use the Health Star Rating system to choose the healthier option between two similar packaged products. I vary each week between these salmon & tunas, as they both have a 4 star rating, making them great options. For beans, I recently made a swap to these baked beans which have a 4.5 star rating, which has more stars than the previous brand I used to buy. 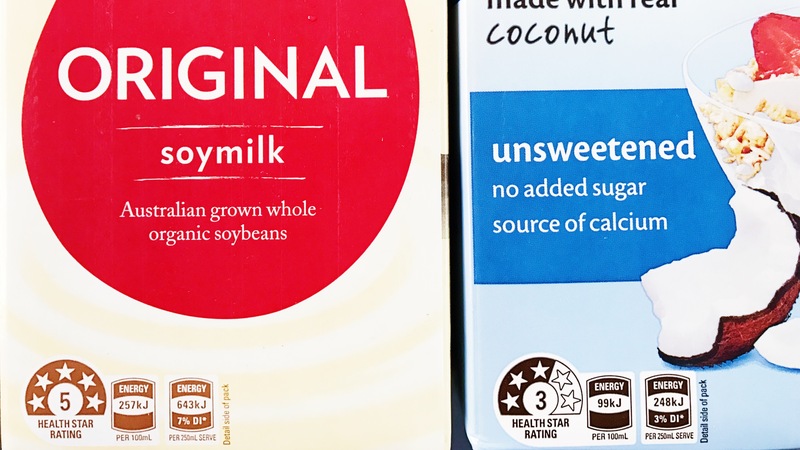 I also changed from this coconut milk which I realised only has 3 stars, to the 5 star soy milk from the same brand. Include some healthy wholegrain carbohydrate foods – carbohydrates can be a tricky one to buy, so I always opt for the brown, unrefined, high fibre, wholegrain options & I use the Health Star Rating to help me decide which is the best option for this. Oats get a 5 star rating, so they are a staple in my trolley. My favourite recipe to make with these 5 star oats is Vanilla Bean Porridge. Cook plain rolled oats with milk & swirl through the vanilla extract. I also love topping my Vanilla Bean Porridge with fresh mint leaves, berries, shredded coconut & passionfruit. 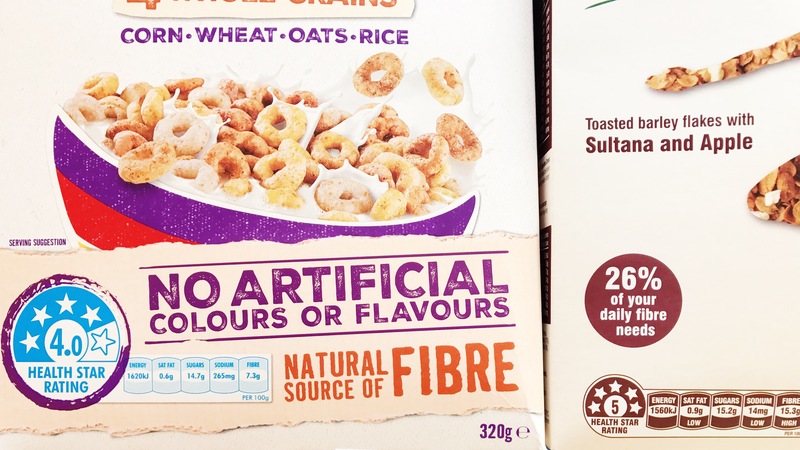 I also love a healthy cereal & found that this one here has a 5 star rating vs the 4 star rating one that I had previously purchased, so I was happy to make this healthy swap, especially as my new 5 star cereal has double the fibre than the 4 star one! 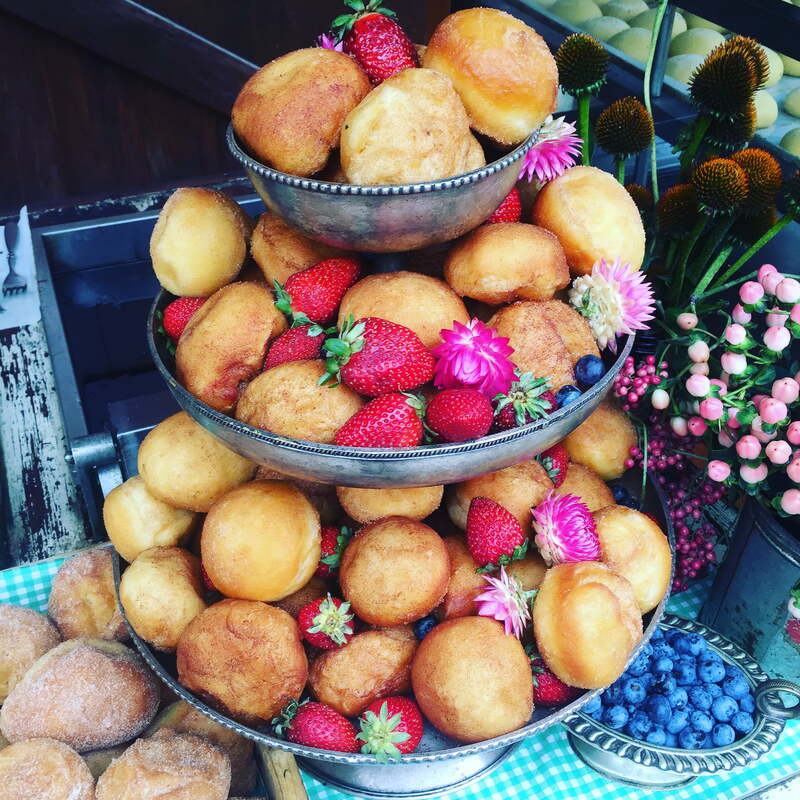 Don’t buy temptation foods – I never buy foods that I don’t want kept in my house, because if I buy it, I’ll eat it, so I’m better off just not having it at home. I simply don’t buy processed meats, chocolate, biscuits, cakes, lollies, chips & soft-drink. Find out more about the Health Star Rating here.